The COSL, which was founded in 1912 and combines all of Luxembourg’s sports federations, organises several major events every year that BGL BNP Paribas actively relays to the general public. The Bank also organises events and receptions around the Games of the Small States of Europe, which take place every two years, and the Summer Olympic Games. The Grand Duchy of Luxembourg will host the Games of the Small States of Europe from 27 May to 1 June 2013. BGL BNP Paribas has been one of the main sponsors of the Fédération Luxembourgeoise de Football (Luxembourg Football Federation) since the 2007/2008 season. The Bank has become the name sponsor of the national league, which has been renamed the BGL Ligue. At local level, BGL BNP Paribas also supports the Fédération Luxembourgeoise de Football. The Federation, which was founded in 1908, has nearly 30,000 licensees, which makes it the largest in Luxembourg. It has been a member of FIFA since 1910 and a member of UEFA since 1954. 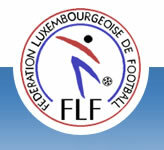 The Luxembourg Football Federation currently has 111 member clubs.